This Tuscan-style resort perched on the California coast overlooking the Pacific Ocean is a gem. 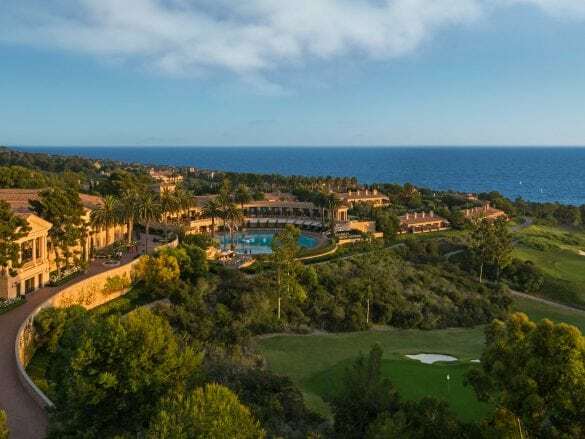 Whether it’s a family trip, a girls’ getaway, a romantic escape, or something in between, the Resort at Pelican Hill is the perfect spot for experiencing all that Southern California has to offer. The space and the location. Not many Southern California resorts have both, but Pelican Hill does. You’re close to the beach and towns, but there is also plenty of room (by plenty we mean 500+ acres!) 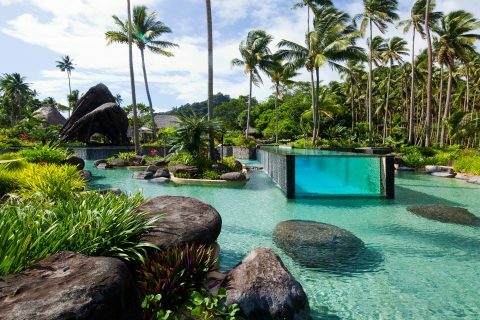 to spread out and simply enjoy the pools, spa, golf, and other amenities of the resort itself. Spending time at Crystal Cove. A quick, 5-minute shuttle ride from the property, Crystal Cove has three miles of beautiful beaches as well as miles of trails for hiking or running. 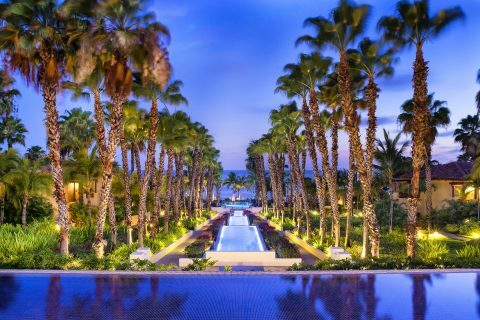 The Pelican Hill team will set up your chairs and umbrella on the beach, and then you can relax, swim in the ocean, or dine in the charming Beachcomber Café (be sure to put your name down early!). 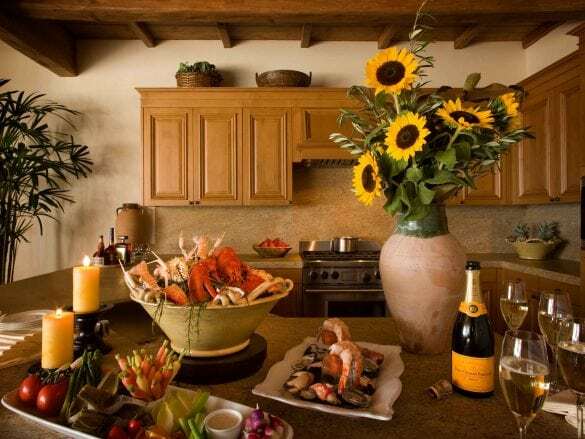 The Resort at Pelican Hill’s three restaurants and two cafes offer farm-to-table cuisine and beautiful ocean views. If you love Italian, head to Andrea, where your homemade pasta and risotto-prepared-in-a-Parmesan-wheels dreams come true. For classic California cuisine, the Pelican Grill is the place to go, and for casual poolside dining, head to the Coliseum Pool & Grill. 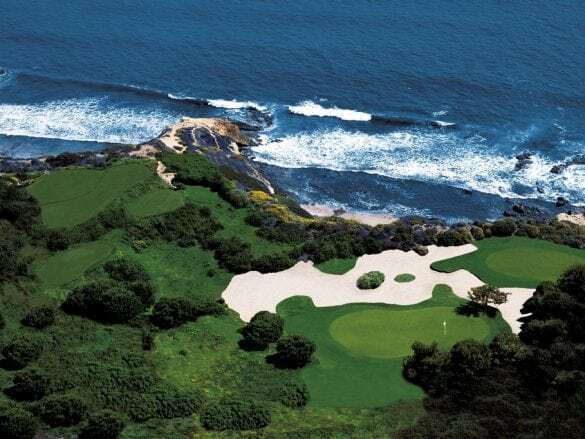 The Resort at Pelican Hill is located between Newport Beach and Laguna Beach. Though there is plenty to do on property, you can easily get out and explore these funky beach towns. And for families, Disneyland is only about 30 minutes away! The resort is located 45 minutes from LAX or 15 minutes from Orange County’s John Wayne Airport. Your Brownell Advisor can arrange a private transfer from either airport, or you can rent a car. There are many multi-room villa options that are perfect for families, multigenerational travel, couples, or groups of friends! 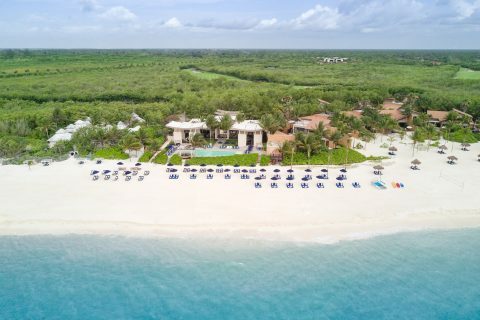 The villas come complete with butler service, gourmet kitchens, washer/dryers as well as exclusive clubhouse, restaurant, gym, and pool for villa guests.